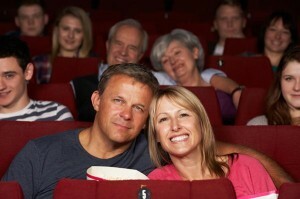 Going to the movies is fun, but believe it or not, it can be made even better. Movie dates are cliché, but it’s a good kind of cliché because girls never get tired of going to the movies with their boyfriends. The setting is just romantic enough to keep her happy while also eliminating the pressure to fill the space with conversation and allowing you to watch a movie instead of directly interacting with her. That sounds mean, but it’s a simpler option for the guy who isn’t the smoothest talker. So, how do you amp your movie date up a notch? Movie snacks are just way too expensive, so make it more fun by bringing in your own. Sure, you have to sneak them in, but she’s probably carrying a bag with her anyway to make it easier to do so. Stop at a grocery store on your way and grab some candy and drinks, or even make your own beforehand to make sure you both get exactly what you want. It helps bring a bit of your preferences and make the movies homier. When you’re watching a movie for the first time, it’s really easy for the characters to be introduced so quickly that you don’t remember their names. It’s okay, just make up your own names. Collaborate with your girlfriend to come up with new names for the characters. You can name them actual things that are just silly, or even by their defining attributes. It’s a hilarious way to make the movie more interesting, and you two will be trying not to burst up laughing. Obviously this won’t work if it actually is a horror movie. But if you’re at a comedy or a chick flick, it’s a total riot to pretend that it’s a horror film instead. For instance, whenever the boyfriend shows up in a romantic comedy, clutch each other like you’re terrified. When they’re leading each other back to the bedroom, whisper to her “don’t go in there” ominously, as if she’s making a grave mistake. Don’t bring alcohol to the movies to do this, instead get some soda water or something like that. The key is to treat it like a drinking game, not something you actually use to get drunk. Pick a few tropes that are common in the movie, and select the number of sips required for each. For instance, every time a girl says “Oh. My. God!” take five sips. When you watch a film with plot twists, you can come up with all kinds of theories, serious or not. You can model your theories off the things that are amusing without meaning to be, like soap operas. For instance, you can “theorize” that her boyfriend is really her twin brother she never knew about. It’s just a fun way to get her laughing and make the movie even better than it would have been originally.